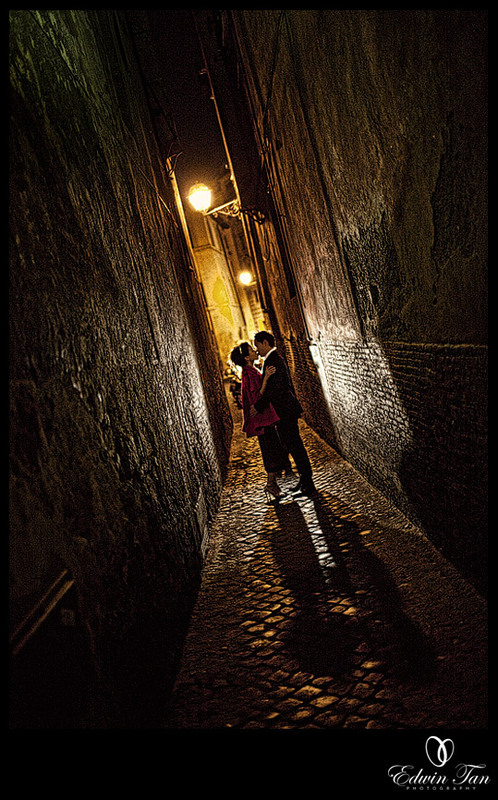 Thanks to William & Qurese for giving us the opportunity to capture the wonderful moments of their prewedding in Italy. 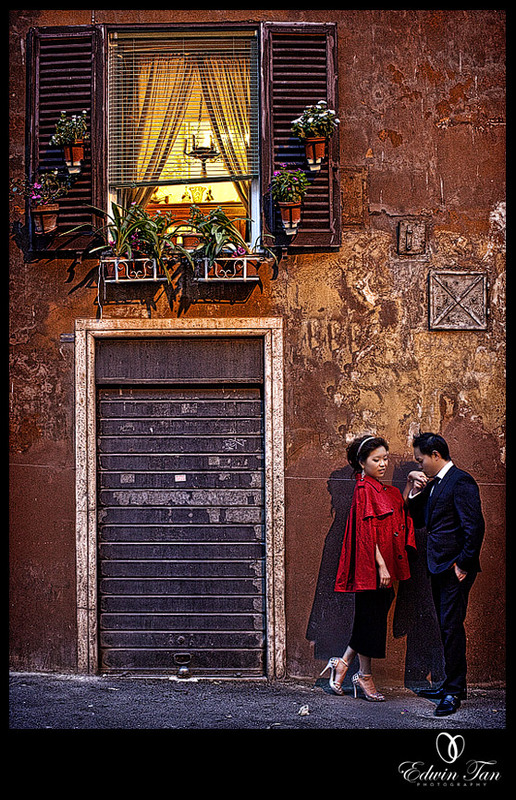 Cant wait to share some of my favourate images with you here at Rome. Mimi - second photo is my favourite, great job Edwin! Robin Ng - Awesome photo! I know you got more to show….can’t wait hehe..
Pamelyn Tan-Corsi - It’s very good shots Edwin. Very romantic. Enjoy Italy. You must be very busy. Haven’t seen much postings recently. Have fun! Richard - Wow..! All the photos indeed shows the “moment” which express the couples passion for love.. Wish I too manage to nail my photos just like you did yours. Will be coming back to your blog for more aspiring photo..! aaron - Very nice images, great compositions. robert - These Italian wedding photos are awesome. I was in Italy last year taking pics and I have to admit yours turned out fantastic.